I'm ba-ack! 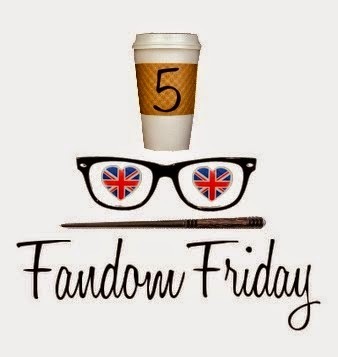 Gotten a little behind this week, and now I'm playing catch-up.This 5 Fandom Friday is one in particular that I couldn't stand to skip, so I'll be chatting about my favorite fandom accessories today and tomorrow you'll get to hear about my favorite funko pop figures (which I often mistakenly call vinyl pop figures, but whatevs). 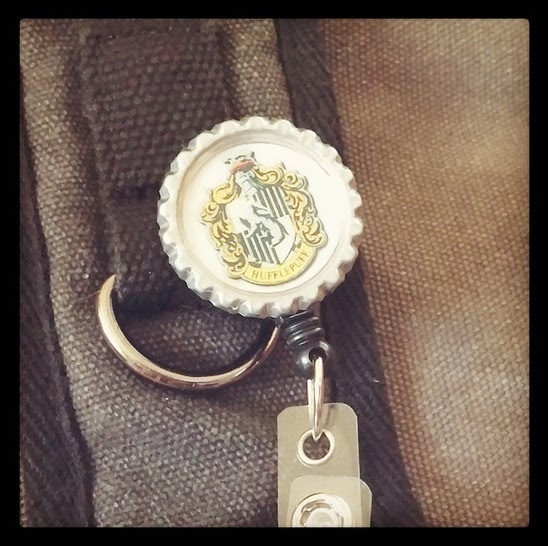 So here we go, my top fandom accessories, go! 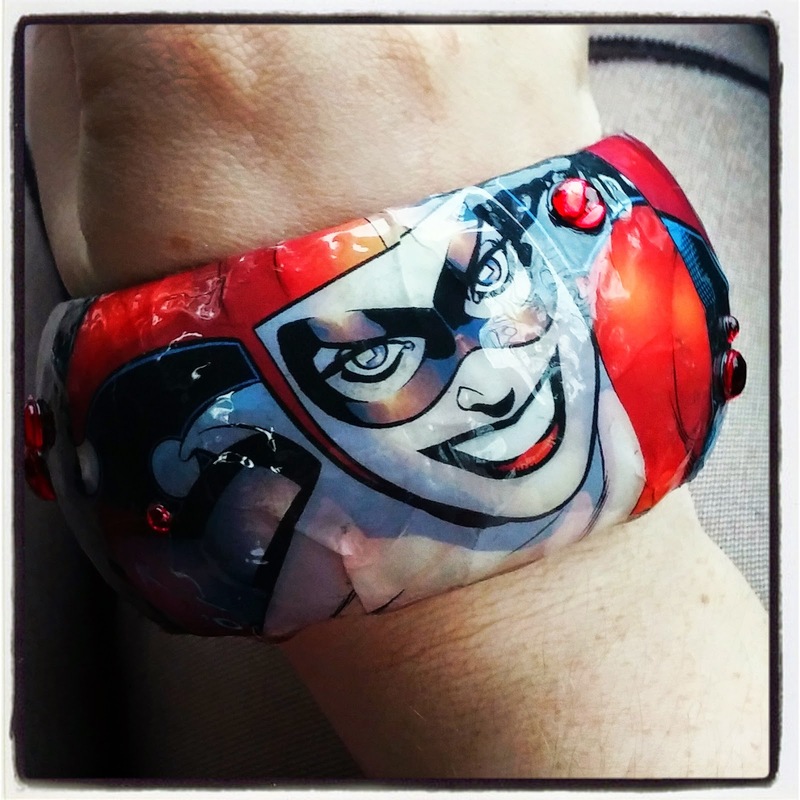 #1: Harley Quinn Comic Strip Bangle! This is an item that I debated whether or not to get at FanExpo 2014 for so freaking long that I probably held up traffic in front of that particular booth for far longer than I should have XP In the end I finally picked it up, and I haven't regretted this purchase :) Whenever I need a little more Harley Quinn in my life, I just put on the bracelet. 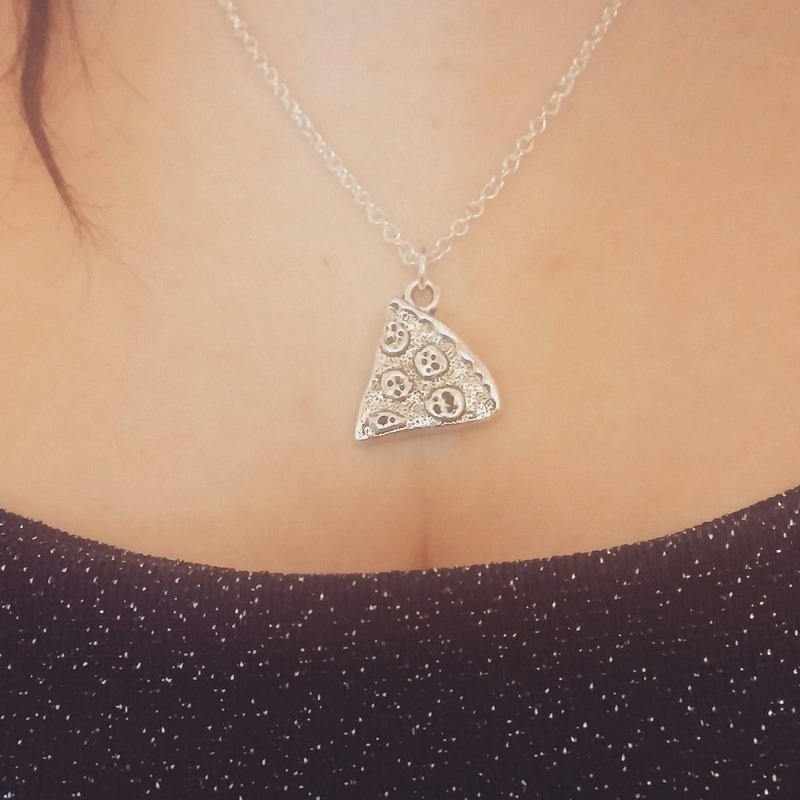 It's a little chunky and isn't easy to wear with my winter jacket, but that's hardly a bother with such a unique piece of jewelry. 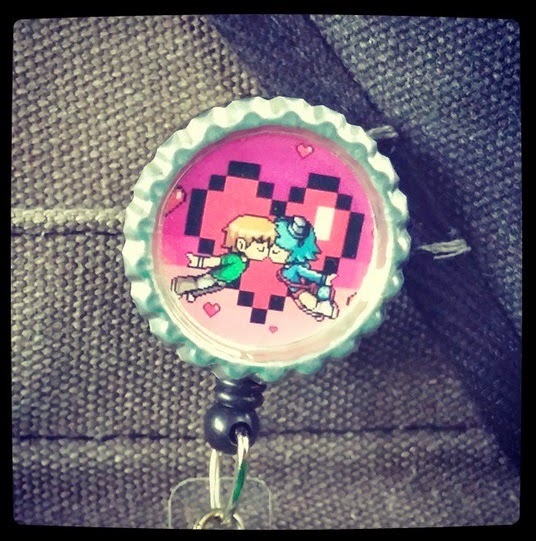 I included this accessory as part of my recent Harley Quinn Everyday Cosplay that I wore to my first day of class of 2015. 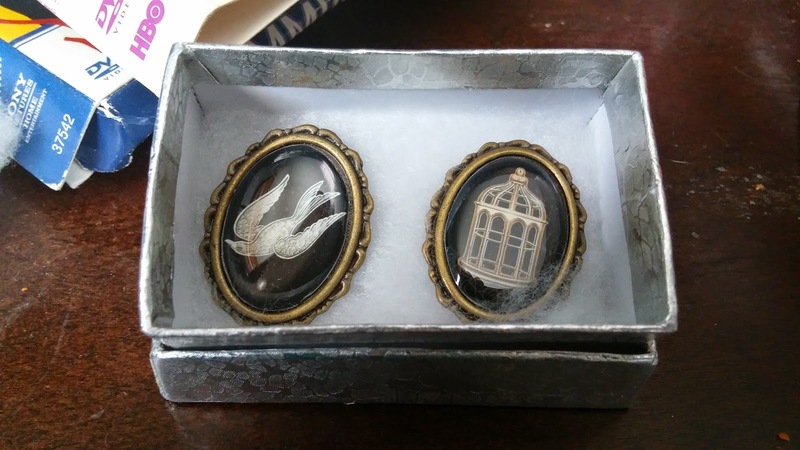 #3: Bird & Cage Broach/Pin Set from Bioshock Infinite! I received these as a gift on my 21st Birthday from one of my ex-boyfriends. I have used both of these during my time of cosplaying as Elizabeth. 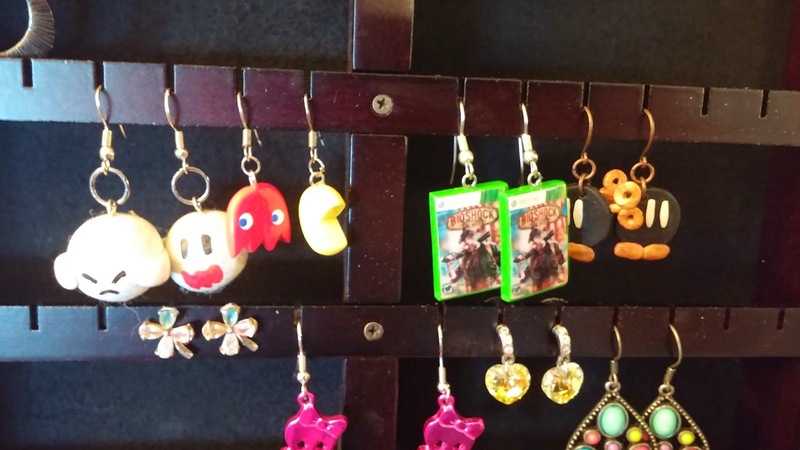 I'm tempted to work these into an everyday outfit as well, I'll just need to figure out how to pull it off. 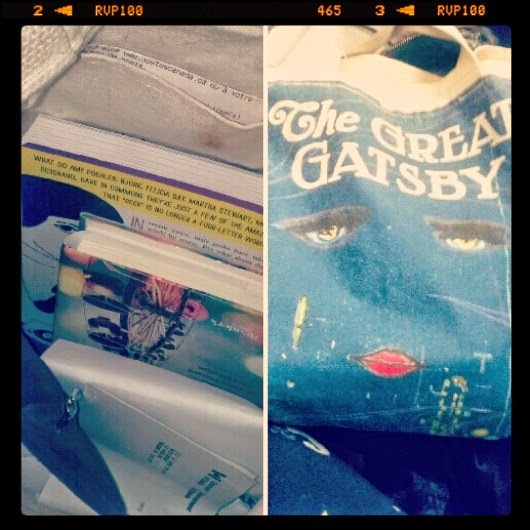 #5: The Great Gatsby Tote Bag! 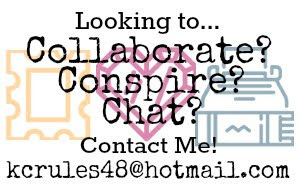 This is my go-to bag, especially on Saturdays when I head out for my weekly violin lesson, since it's the perfect size to hold onto my music books and it's still fairly light, with room left over to tuck in my current novel or my letter writing supplies. I actually got this bag free from work. They were going to be scrapped and my co-worker asked if I wanted one. I'd been eyeing them since they came to the store (around the time the new film was in theaters), so I was over the moon to have this bag for myself.